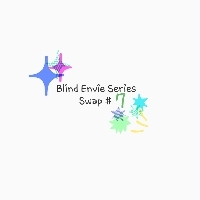 This will be a series of blinds envie swaps. The point is you seal your envie with the flat item enclosed before partners are assigned. For #7, you'll send your 1 partner at least 15 used postage stamps. On or off paper. Make sure they are in good condition. Duplicates count as extras. Make sure to include a note about who you are and the swap name. 4.98, newbies welcome, 1 weekish to send. Get your envie ready ahead of time.